Cheating. . . Deep and Wide. . . When thirty-five Colorado high school students figured out how to break into their teachers’ computer system to change their grades earlier this year, we were reminded of just how pervasive cheating is in today’s culture. Cheating is a huge problem in our schools. And with the advent of digital technology, cheating has moved beyond stealing a quick glance at a “neighbor’s” quiz, concealing “cheat sheets,” or paying someone for a paper copy of last year’s final exam. 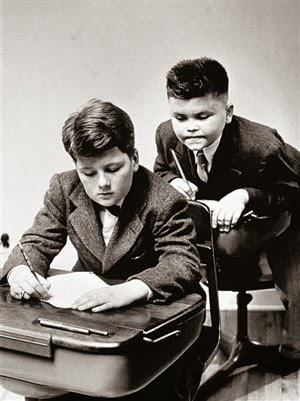 According to recent news reports, cheating has moved to new levels in our schools. It’s not just virtue-minded teachers who have to look over students’ shoulders to prevent plagiarism and cheating on tests. Increasingly, someone needs to keep an eye on the teachers. . . which means that our teachers are not only living out values they’ve learned and embraced somewhere along the way, but they’re modeling those same values and resulting behaviors to classrooms full of kids. Last spring, two Philadelphia school administrators surrendered their credentials to the state as a result of cheating to inflate student scores on standardized tests. Authorities know that more guilty parties will be identified soon. At about the same time, thirty-five Atlanta school administrators – including the former Superintendent – were indicted by a grand jury in a similar cheating scandal. How is it that our culture’s collective heart is marked by acceptance of a behavior which the dictionary defines with the words “deceive, defraud, violate, mislead, dupe, and delude?” And why are our emerging generations so quick to assimilate cheating into their lives with little or no thought? While the reasons are many and complex, a few stand out from the rest. . .
First, they’ve lived with and watched the examples of adult cheaters. For some, they’ve grown up in homes where mom and dad cut ethical corners on the “little” things – for instance, telling a “white” lie. For others, life in our media-saturated world means that they can’t help but see leaders, heroes, and role models who stretch the truth or engage in deception – usually without conscience or consequence. Now, some kids are even learning how to cheat from their teachers. A decade ago, researcher George Barna found that while teenagers respect “integrity” in other people, they aren’t willing to make the sacrifices necessary to develop integrity in their own lives. Barna found that “in many instances, integrity is taken to mean doing whatever furthers one’s personal advantage without being caught.” (Generation Next). Sadly, Barna discovered these findings held true for Christian and non-Christian kids alike. And finally, kids say cheating is unavoidable and even necessary in a world where the pressure to succeed is enough to make them crack. Too many are growing up in homes where they perceive their value and worth in mom and dad’s eyes to hinge on the grades they bring home from school. Competition for grades, the race to get into a good college, pressure from instructors, large workload, and juggling a heavy schedule of activities all figure into the picture as well. In this kind of world, cheating is incredibly easy to justify and very difficult to resist. Yale University’s Stephen Carter, author of a book on integrity, says that “we adults are establishing a climate in which we show through our behavior and through what we emphasize that the thing that matters most is me, myself, (and) getting ahead. . . . what they (our children) learn is that the key to being a successful adult is making sure that nothing like a mere law or moral principle gets in the way of getting what they want” (MSNBC). 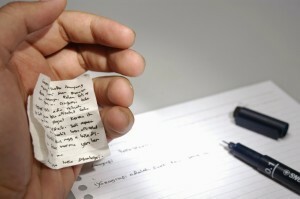 · In 2010, 59 percent of students admitted to cheating on an exam in the last year. In 2012, that rate had dropped to 51 percent. · Students who said they had lied to a teacher in the past year about something significant dropped from 61 percent in 2010 to 55 percent in 2012. · In 2010, 27 percent of the students said they had stolen something from a store in the past year. In 2012 that number dropped to 20 percent. On the one hand, this good news should make us happy. But are these numbers reflective of an increase in conformity to the highest level of unchanging ethical standards, or are they a reflection of conformity to lowered/changing ethical standards? In other words, has the definition and understanding of what constitutes lying, cheating, and stealing morphed and been drained over the course of the last decade? If that’s the case, then our kids (and the rest of us) could actually be lying, cheating, and stealing at a higher rate. I don’t at all mean to sound skeptical, but these are questions we should be asking. In spite of what really sits behind the statistics one thing is for sure: that is, that we need to embrace, teach, and live out the highest standards of ethical behavior in order to both glorify God and teach our kids. As parents, pastors, youth workers, and educators, we can play a powerful role in leading our kids and our culture back to Godly standards, where any kind of cheating or deception is seen as nothing less than wrong. Our words and example can and must combine to send a loud statement affirming the timeless and unchanging truth that cheating is always wrong. In addition, they need to know that they have been born into this world with sin-bent hearts that will default towards all kinds of immoral behavior, including cheating. As we minister to them, we need to remind them of and nurture them towards the kind of character Jesus calls his followers to embrace, develop, and exhibit in their lives. When we were kids playing backyard baseball or shooting baskets in the driveway, our games were often interrupted with arguments over accusations of cheating. I can remember many times when the accused would get his way then go on to miss a shot, strike out, or lose the game. It wasn’t long before the accusers were chanting a taunt that I can still hear clearly in my mind: “Cheaters never prosper, cheaters never prosper, cheaters never prosper. . . . “ That’s a message we need to repeat over and over in our world today. You see, cheating is always cheating – even if you think you won’t get caught. ← Hello Molly. . . Pure Drug Danger. . .